As the Youth Employment Program continues to make inroads into the Taber-area community, the foundation it helped provide to one of its former pupils is showing first-hand the positivity Kristi Austin is making in her community. Austin is currently pursuing her education for a corrections diploma at Lethbridge College for which she received a Jason Lang Memorial Scholarship for achievement of excellence for her grade-point average, along with another scholarship from the college. Austin also took over the student co-chair position of the LGBTQ+ Council in October from Zachary Wigand who helped plant the seeds and do the foot work along with Tara Ludman to bring in the Lethbridge College Pride Lounge which is located in the Andrews 1700 wing at the college. 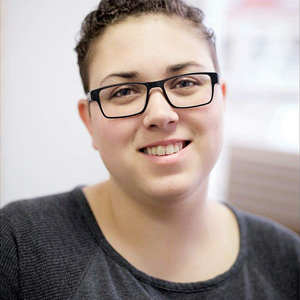 In being a liaison through the lounge, Austin hopes she can give the confidence to people the way the Taber Youth Employment Program helped give her voice at a time where she felt lost. Austin noted the Youth Employment Program helped her get into college, and that bond has lasted far past when she graduated from the program. The Taber Youth Employment Program (a project under the Taber & District Community Adult Learning Association, and funded by the Government of Canada’s Youth Employment Strategy Program), provides youth (ages 15 – 30 years inclusive) who are facing obstacles to employment with an opportunity to participate in an 15-week skills development and work experience program within the community of Taber. These barriers consist of a multitude of factors, such as (but not limited to): Inadequate skillset, visible or ethnic minority low levels of literacy and numeracy, lack of social supports (family, friends and community), lack of previous work experience, poor self and/or behaviour-management abilities or physical, mental, emotional or social challenges, and recent immigrant youth.